Three-match series, part of the ICC Women’s Championship, will start at Lincoln's Bert Sutcliffe Oval on 4 March. Photographs from this series as well as other ICC Women’s Championship fixtures will be available on the Online Media Zone. Please use giving credit as mentioned in captions. 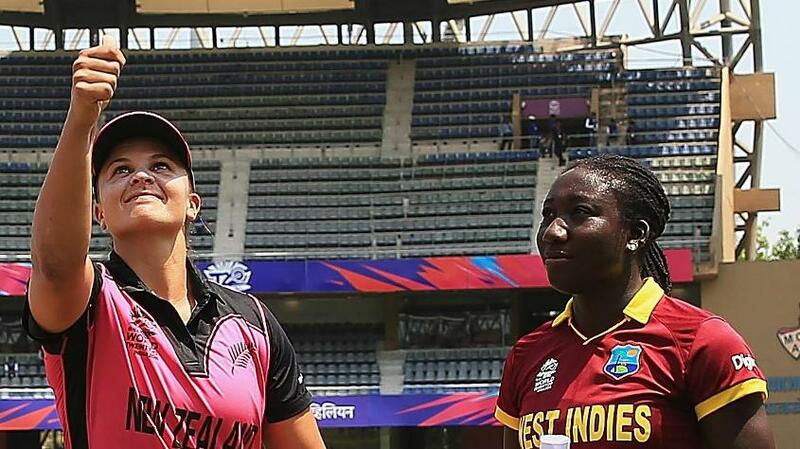 New Zealand captain Suzie Bates is aiming to win all three matches of their upcoming ICC Women’s Championship series against the Windies while visiting skipper Stafanie Taylor wants her team to not only win convincingly but also develop as a team on this tour. New Zealand won their opening series against Pakistan 2-1 while the Windies are the early leaders on the points table after an impressive 3-0 victory at home against Sri Lanka. The New Zealand-Windies series will be played in Christchurch from 4-11 March and will be followed by two more IWC series this month. India host defending champions Australia in Vadodara from 12-18 March and Sri Lanka play at home against Pakistan in Dambulla from 20-24 March. The ICC Women’s Championship is the pathway to qualification for the ICC Women’s World Cup 2021 in New Zealand. Hosts New Zealand and the three other top sides from this tournament will qualify for the World Cup while the remaining four sides will get another chance through the ICC Women’s World Cup Qualifier. Bates says that though New Zealand are assured of a place in the ICC Women’s World Cup 2021, the team does not want to let things slip at any stage. “We played in the UAE and perhaps would not have liked to have lost a match there (to Pakistan). So, it’s really important that we perform in all three matches and not let one slip. That’s the goal here - we want to beat the Windies three times and not have a day off,” said Bates, who has figured in 107 ODIs and 91 T20Is and is currently ranked sixth among batters in the MRF Tyres ICC Women’s ODI Player Rankings. Bates said her players were coming off a domestic season but now had to work on team plans against the reigning ICC Women’s World Twenty20 champions, to whom they had lost 3-0 in the inaugural ICC Women’s Championship cycle. “The Windies are always dangerous. They have got really explosive batters with Taylor and Hayley (Matthews) at the top and also Deandra Dottin. They also have a pretty good bowling line-up with a lot of variety and a few really good spinners, so they are always a tough challenge. At home, we match up to them pretty well. We play a lot of cricket at Bert Sutcliffe (which hosts the first two matches), it always has a good batting wicket and I’m sure there will be a lot of runs,” she said. Bates added that middle-order batters Maddy Green and Kate Ebrahim as well as the uncapped Lauren Down could prove to be surprise commodities during the series. Taylor said her side had acclimatised well and wanted to get down to business. “The objective is always the same – to win. We, however, want to win in a confident manner. We also want to see our side progress as a unit. It’s important for our players to show further personal development. We know we all have the ability, but we want to give firm evidence that we are moving forward. We need to put together the perfect game consistently and this will lead to the result we desire." Taylor said the Windies, who will be defending their ICC Women’s World Twenty20 title at home this November, had played some memorable matches against New Zealand. “We have had a few good battles with them over the years and we are once again looking forward to the challenge. They are a very experienced side, but we are looking to rise to the challenge and fight them to the wire,” said Taylor, who has played 108 ODIs and 80 T20Is. “We are a fairly balanced side. We have depth in pretty much every department. We will however, need to perform consistently at a high level in every match. How we handle the unique playing conditions in New Zealand will be key. Some of us have played here previously, Also, the core of players that went to the ICC Women’s World Cup last year in England, where conditions are similar, are part of this side, so we should have enough experience to know what is required,” she added. New Zealand: Suzie Bates (captain), Sophie Devine, Lauren Down, Kate Ebrahim, Maddy Green, Holly Huddleston, Leigh Kasperek, Amelia Kerr, Katey Martin, Anna Peterson, Hannah Rowe, Amy Satterthwaite, Lea Tahuhu. The Windies: Stafanie Taylor (captain), Merissa Aguilleira, Reniece Boyce, Shamilia Connell, Britney Cooper, Deandra Dottin, Afy Fletcher, Kycia Knight, Kyshona Knight, Hayley Matthews, Anisa Mohammed, Chedean Nation, Akeira Peters, Tremayne Smart.